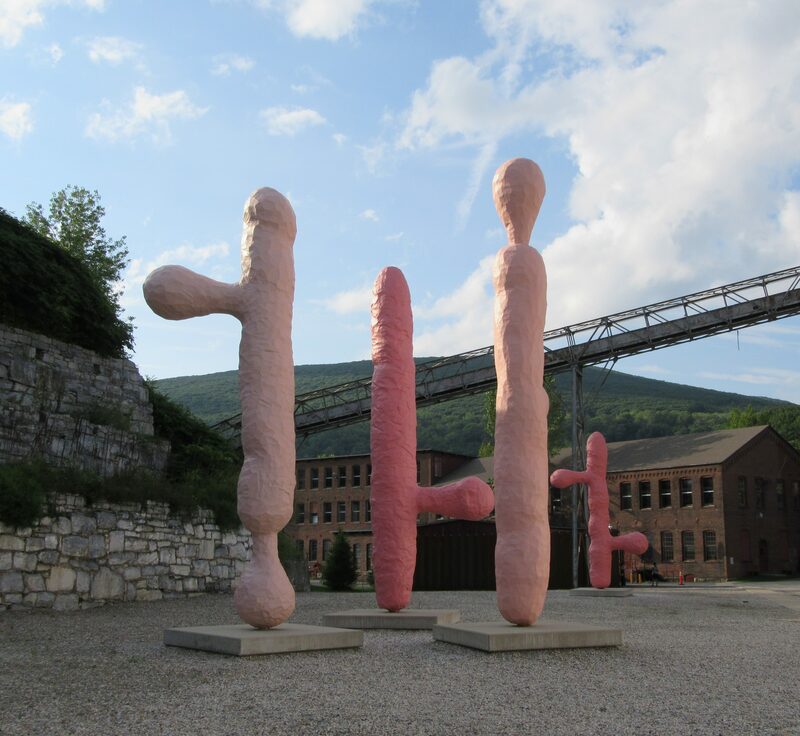 During my semi-annual weekend escape to the Berkshires, I was able to finally make a trip to Mass MoCA, where we accidentally discovered the Franz West group of sculptures known as Les Pommes d’Adam (Adam’s Apple), late in the day while we were trying to find our car. Being surprised by these sculptures definitely allowed us to end our thoroughly enjoyable visit on a very high note! Les Pommes d’Adam is rough-hewn and made of basic materials: metal, epoxy, paint, and concrete. 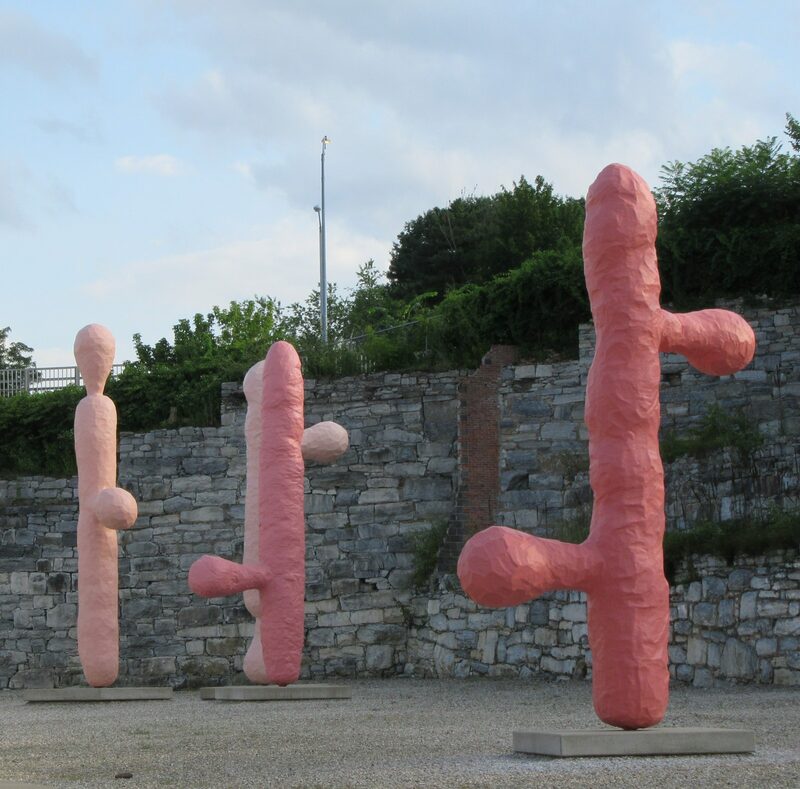 The four pink biomorphic totems, each standing at approximately 25 feet, are at once crude in shape, yet highly finished. 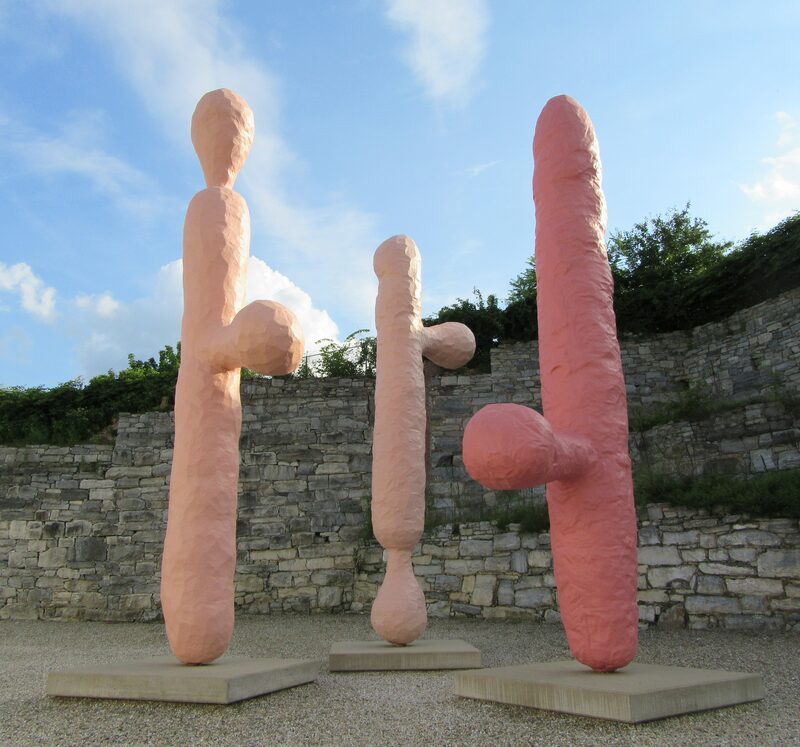 Les Pommes d’Adam was, um, erected at Mass MoCA in April of 2014 after previously being installed in Paris, France, in close proximity to the Vendôme Column, on top of which stands a statue of Napoléon Bonaparte in Roman garb.